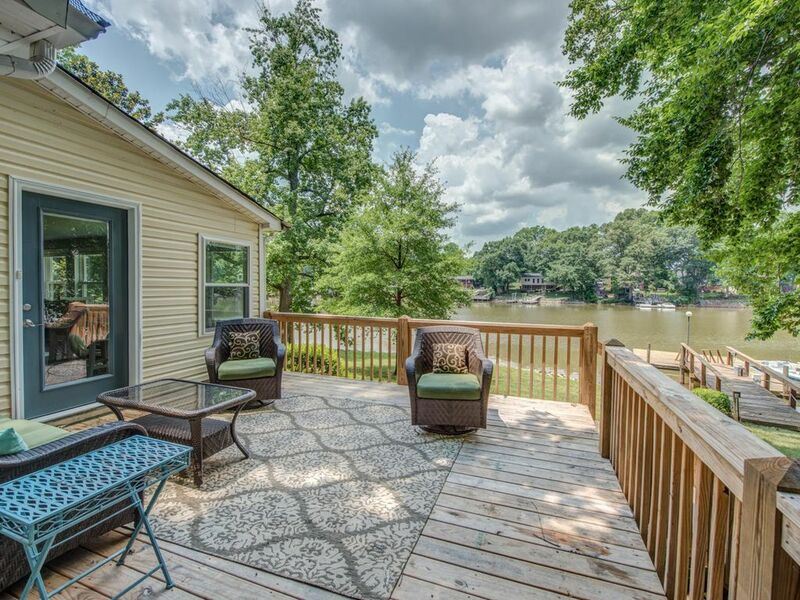 Sit back, relax and enjoy this cozy waterfront cottage surrounded by windows and gorgeous views of Lake Wylie. 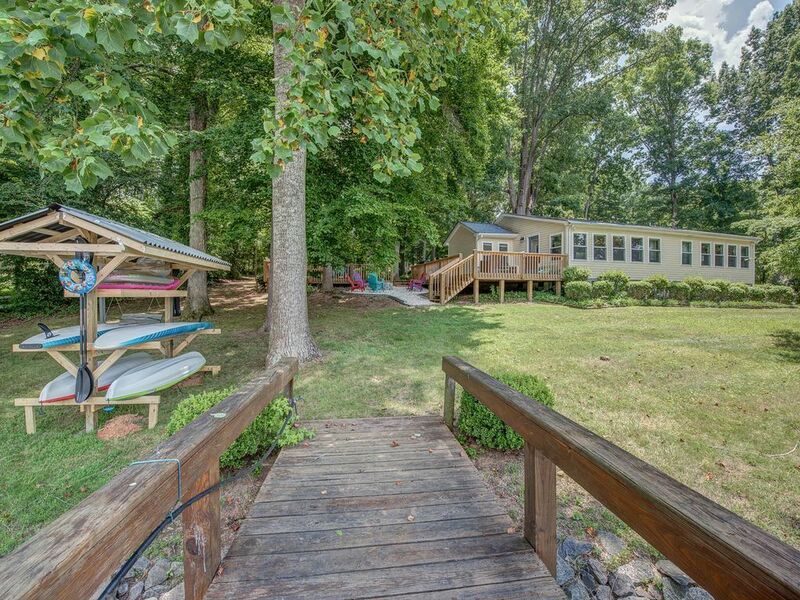 It's the perfect location for a family vacation or a get away. 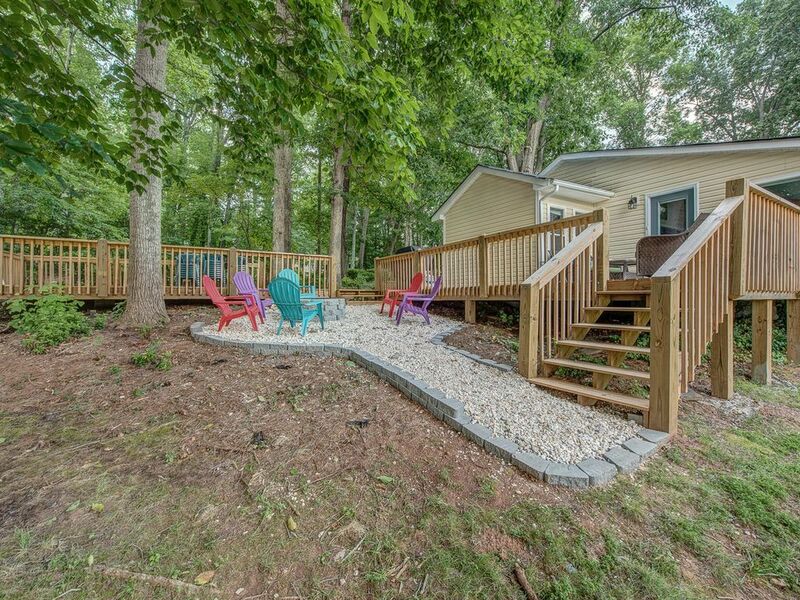 3 bedrooms, 3 baths and plenty of space for relaxing, this cottage has it all. 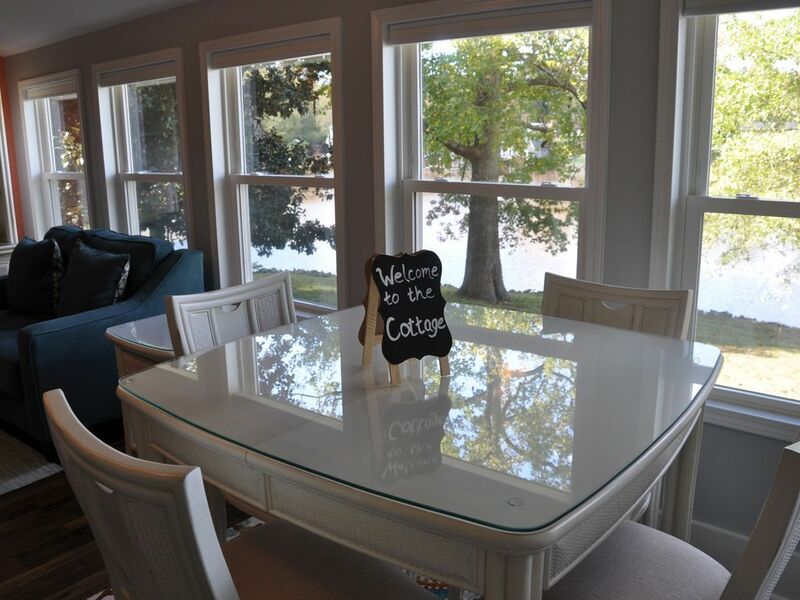 The great room, dining room, kitchen and 2 of the three bedrooms provide you will the perfect lake view. 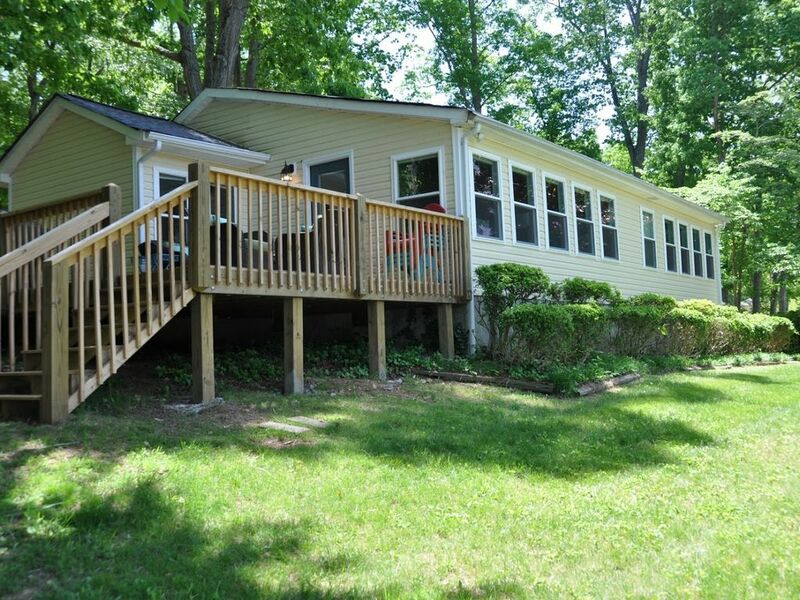 The quaint cottage sits lakefront on the channel at the beginning of a quiet cove. Tall, mature trees provide shade and privacy. 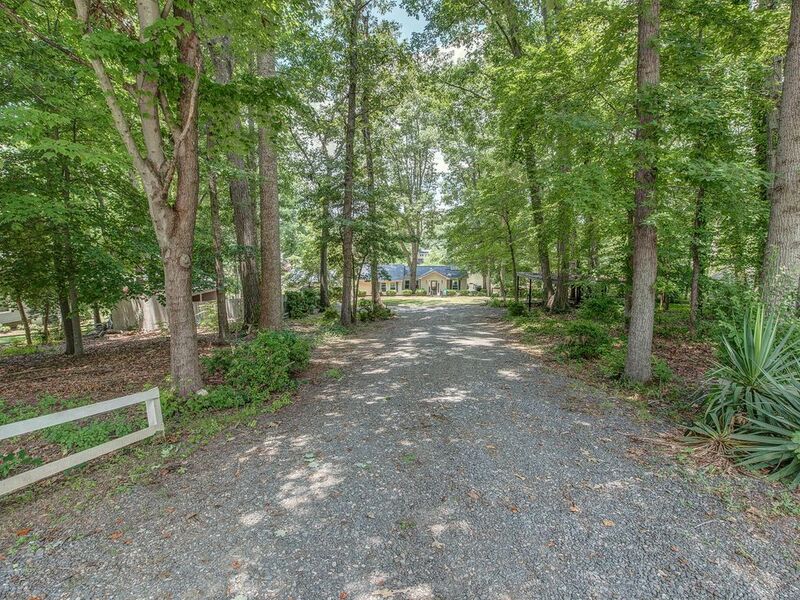 The long driveway allows ample parking in front and along the wooded area (we prefer you do not park on the road). 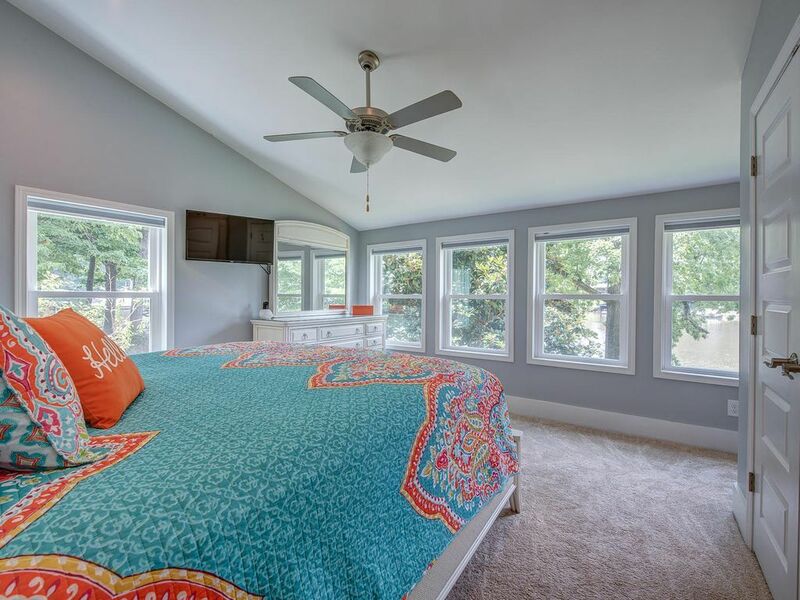 (1) Master Bedroom with King bed and great lake-view. 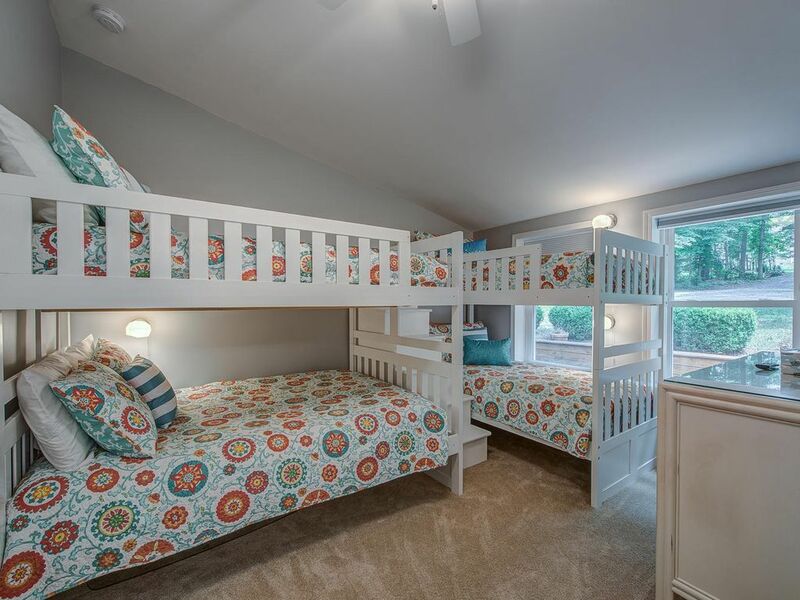 (3) Bedroom 3 has two sets of bunk beds. 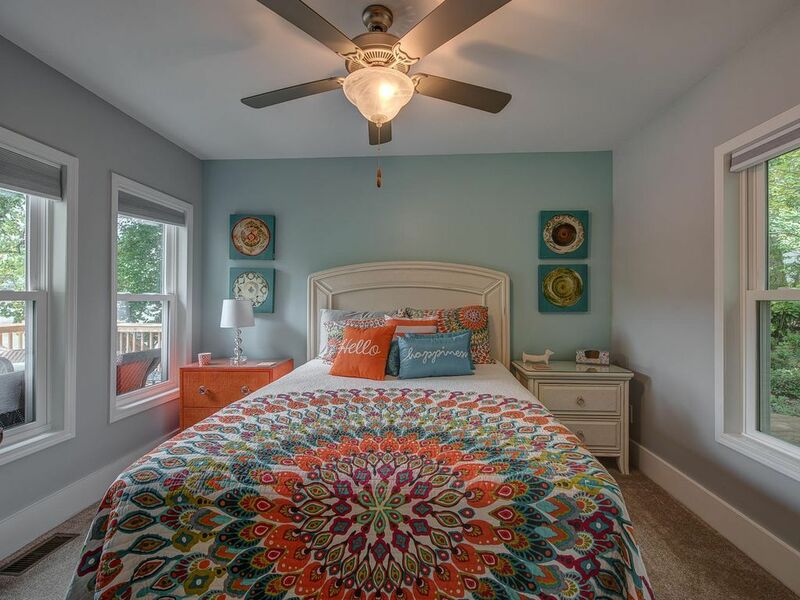 Each bedroom has a nightstand with lamp(s), dresser and a place to hang clothes. 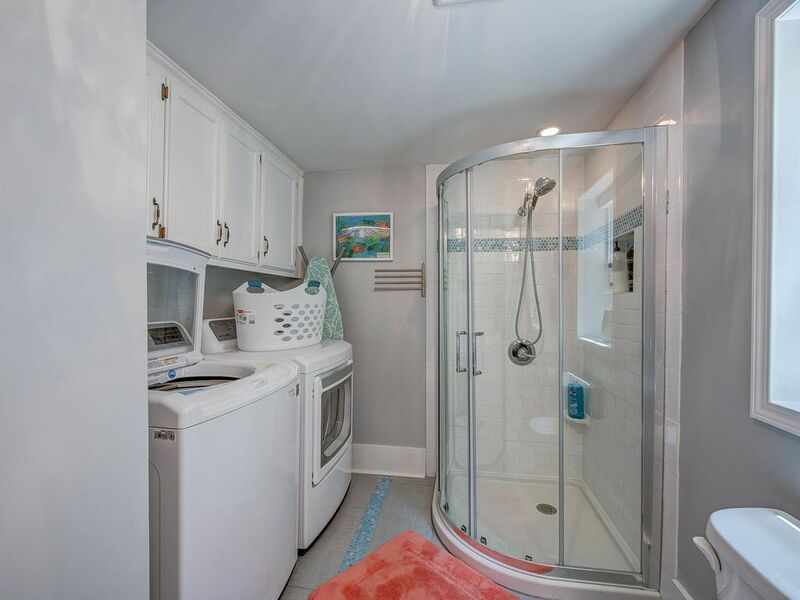 Bath, beach, and kitchen towels are provided. 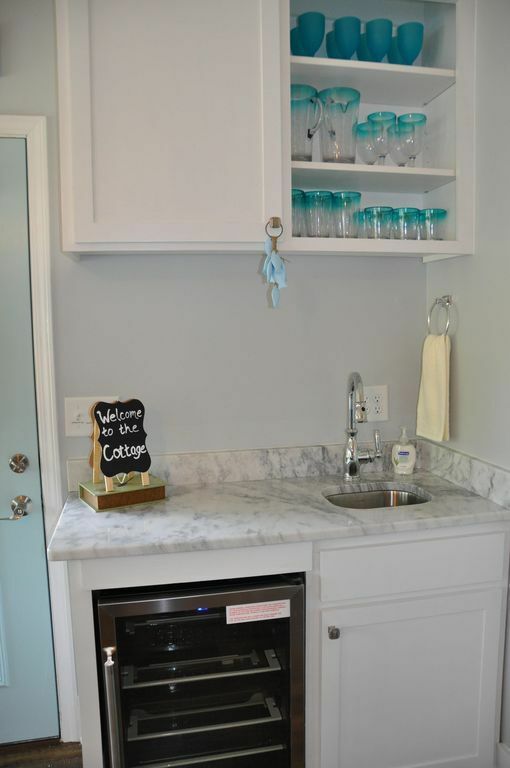 One laundry room. 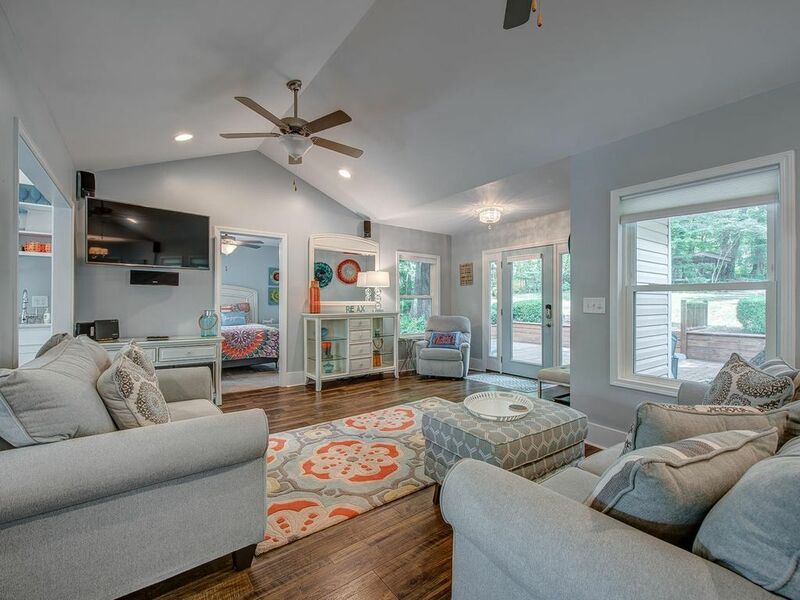 LOCATION While here you will feel like you're way out in the country, but the reality is you're just 11 minutes to shopping and restaurants, 27 minutes to the airport, and just 34 minutes from Uptown Charlotte. 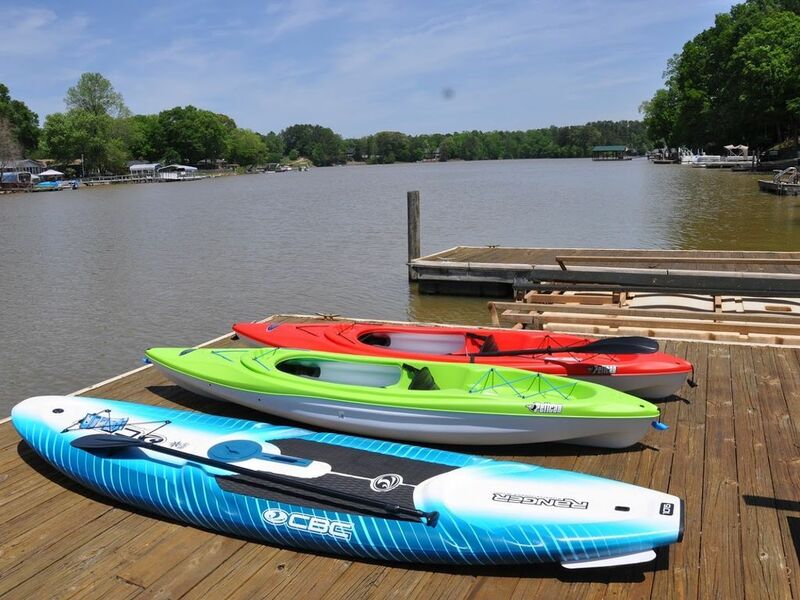 You'll find this location perfect for visiting Daniel Stowe Botanical Garden (4 mins), Carowinds (38 mins), US National Whitewater Center (34 mins), or our charming small town of Belmont (11 mins). 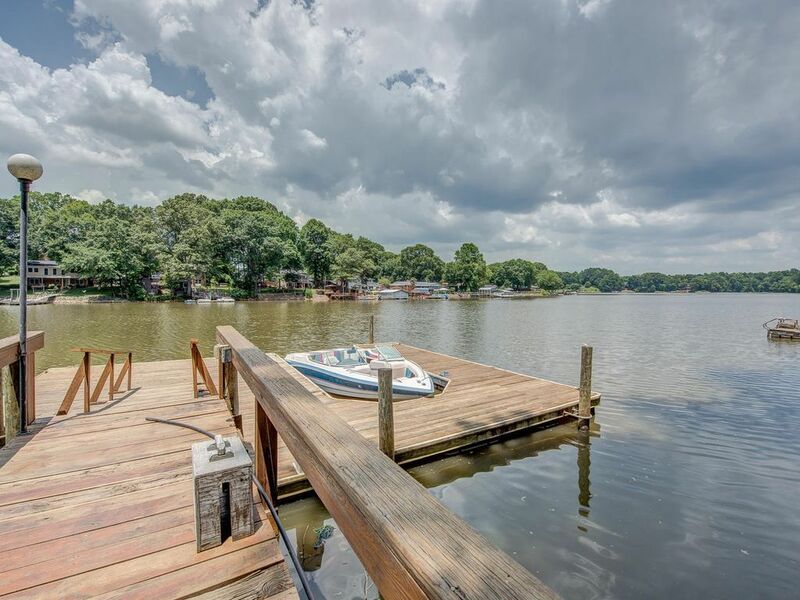 Everything in the Greater Charlotte Region is easily accessible, but you may never wish to leave our little slice of paradise. 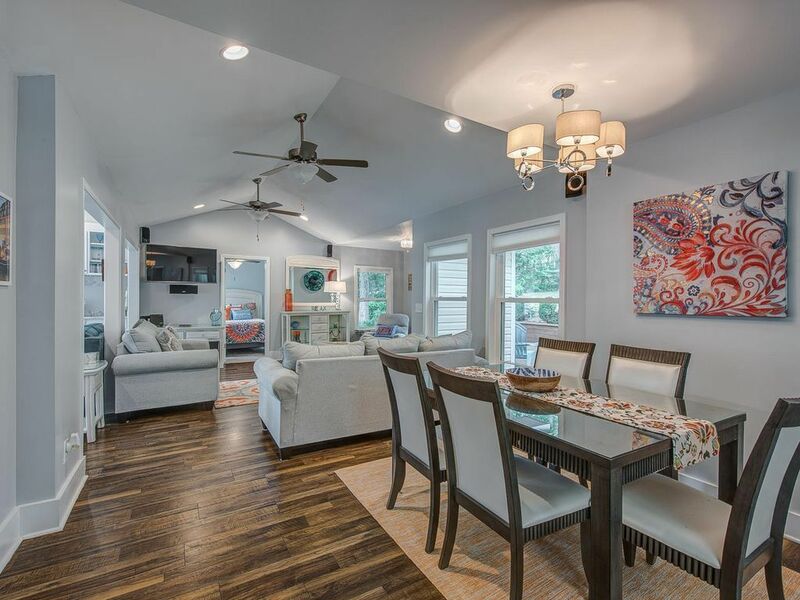 This home is nestled in a quiet, close-knit community. Out of respect to our neighbors, we do not allow parties or other partying related activities. For safety and courtesy, no parking is allowed on the street. Pets under 30 pounds will be considered. 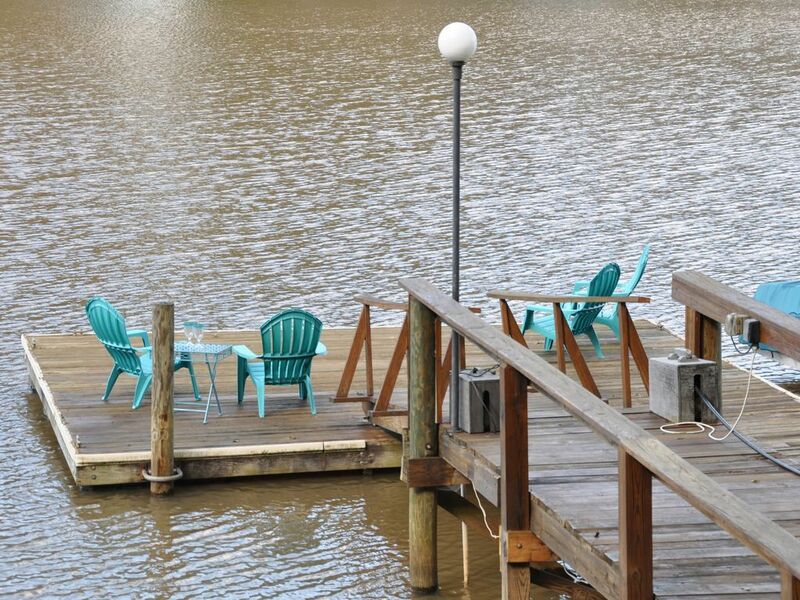 Our stay was cut short unfortunately (only stayed 1 night out of 3) because of hurricane Florence and we were also unable to enjoy the lake because of the weather, but the house was so comfortable and cozy that we didn’t really mind. Would definitely book this house again! 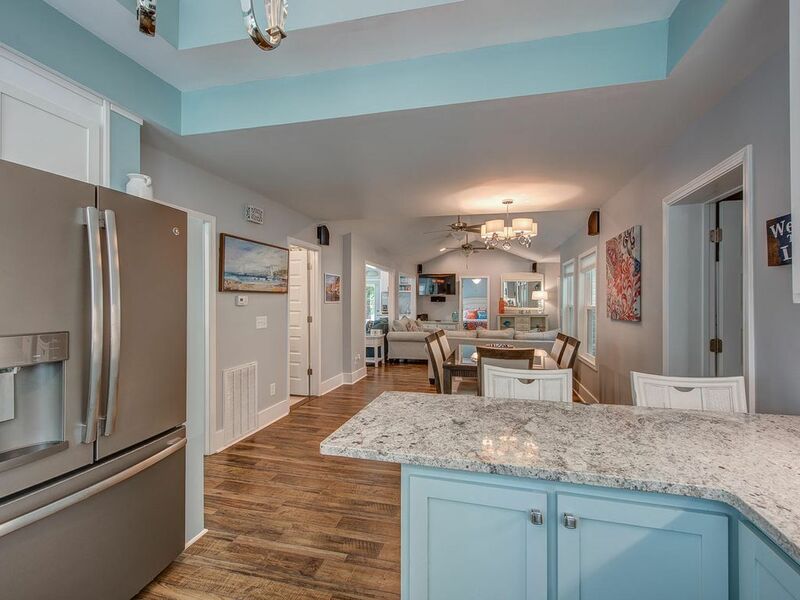 We have rented many different houses over the years and this one is the best stocked house out of all of our rentals. 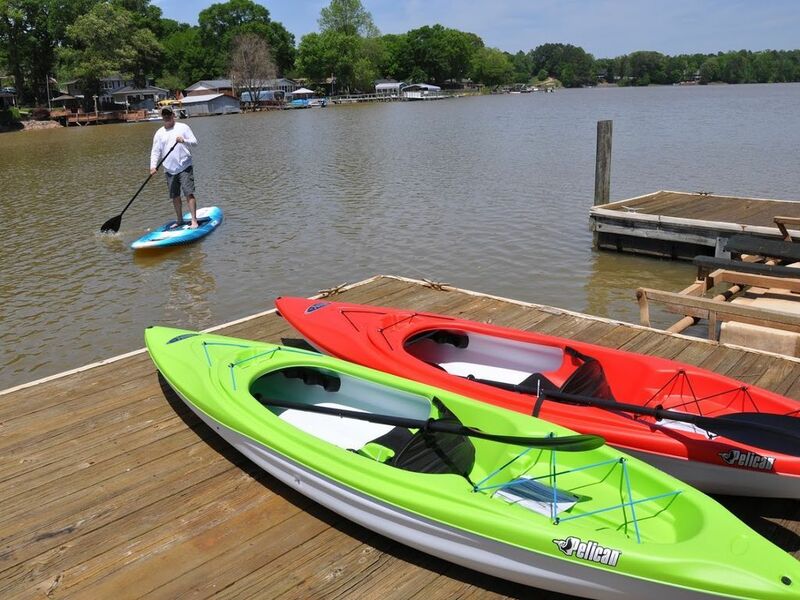 The paddle boards and kayaks were a wonderful addition to the house. We used them every day. We also loved being able to have our 2 dogs with us. They had a blast as well. 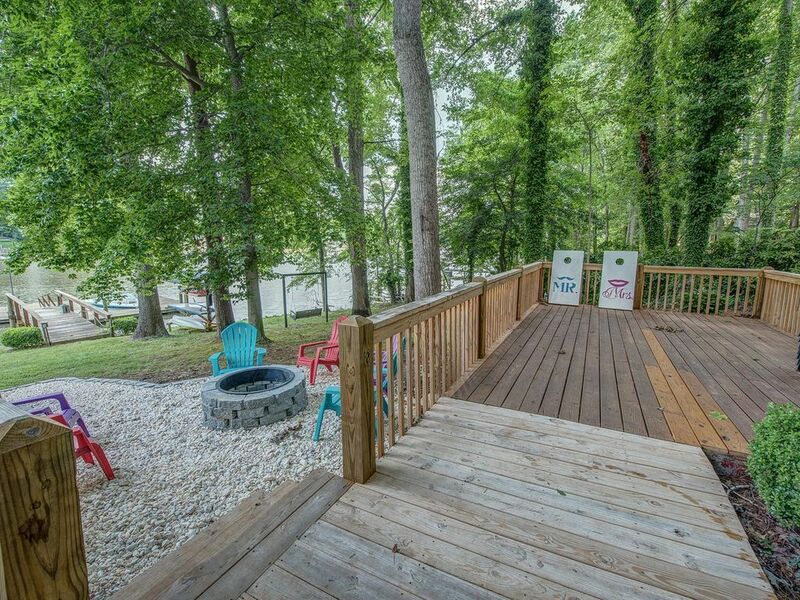 The lot lends itself to a lot of privacy with plenty of room to hang out on the attached decks. We will definitely return for another visit. 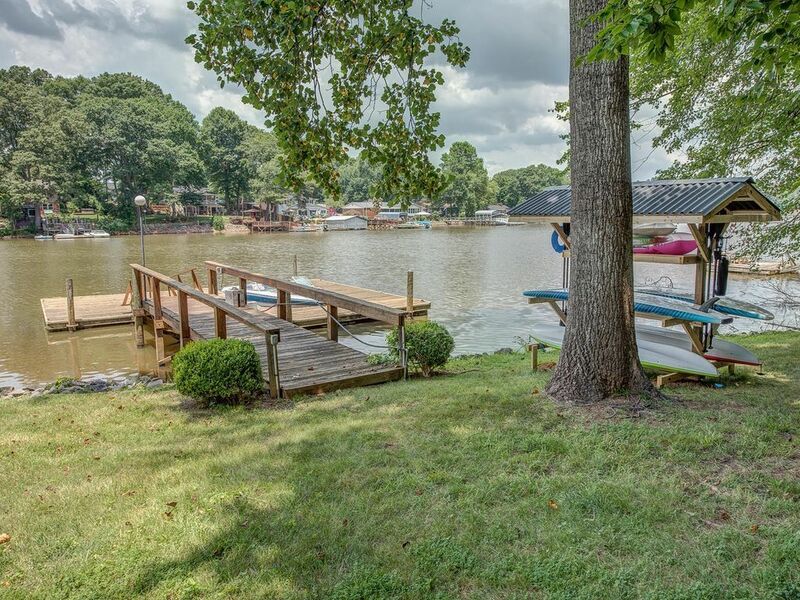 I was searching for a 3-bedroom house in Charlotte located near Carowinds and Lake Wylie as well as the home of one of my sons to spend an extended Memorial Day visit. The Cottage was perfect for our family’s needs. The grandchildren loved the bunk beds and the other two bedrooms were comfortable and quiet and had their own TV’s. 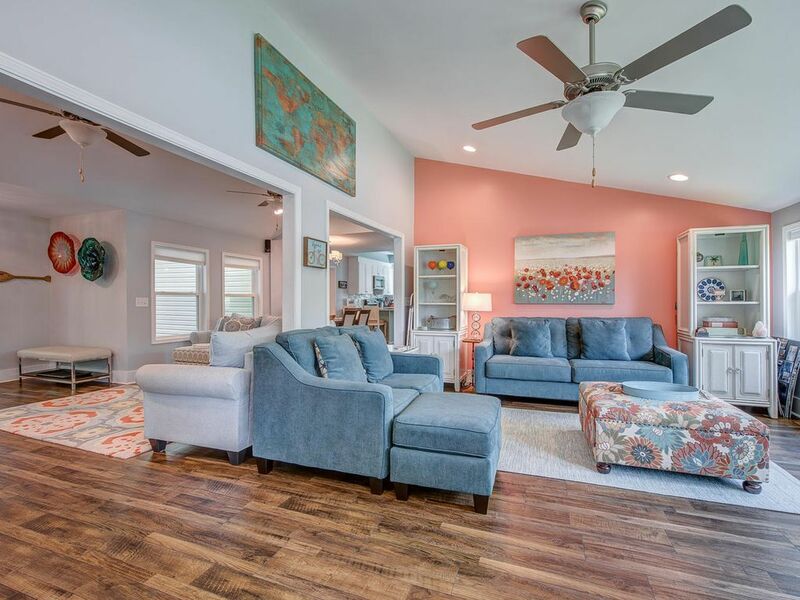 The large family room provided ample room for everyone to relax and there was plenty of space for eating and playing games. 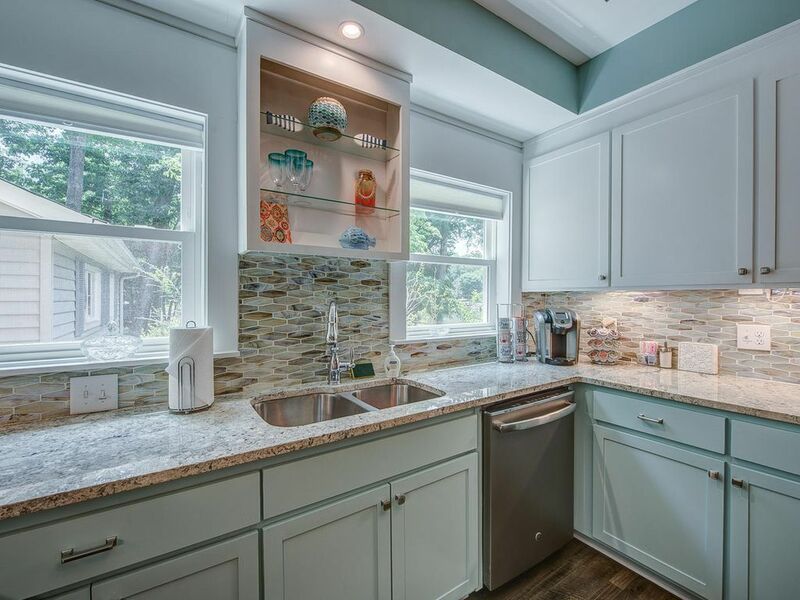 The rooms were decorated with a modern cheerful décor and the kitchen was well equipped. 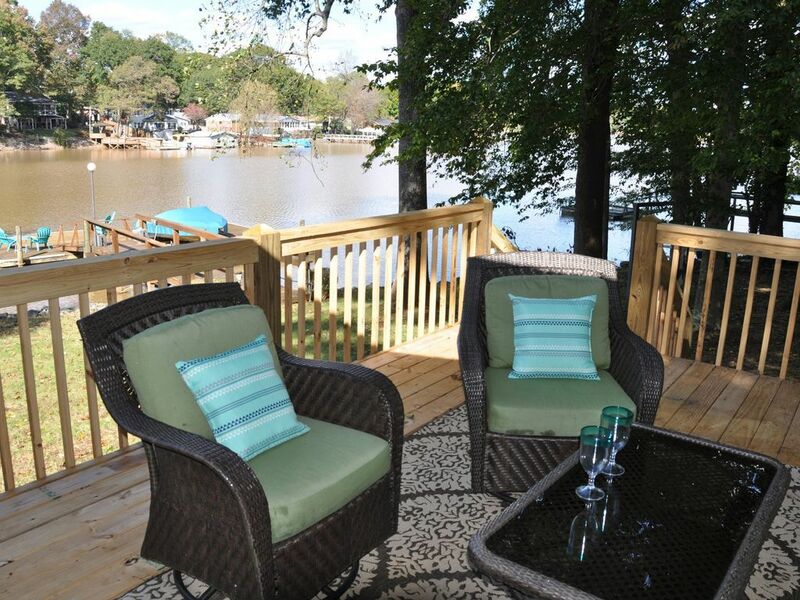 The deck and dock were extra nice and the use of the large grill, two kayaks and paddle board were a pleasant surprise. 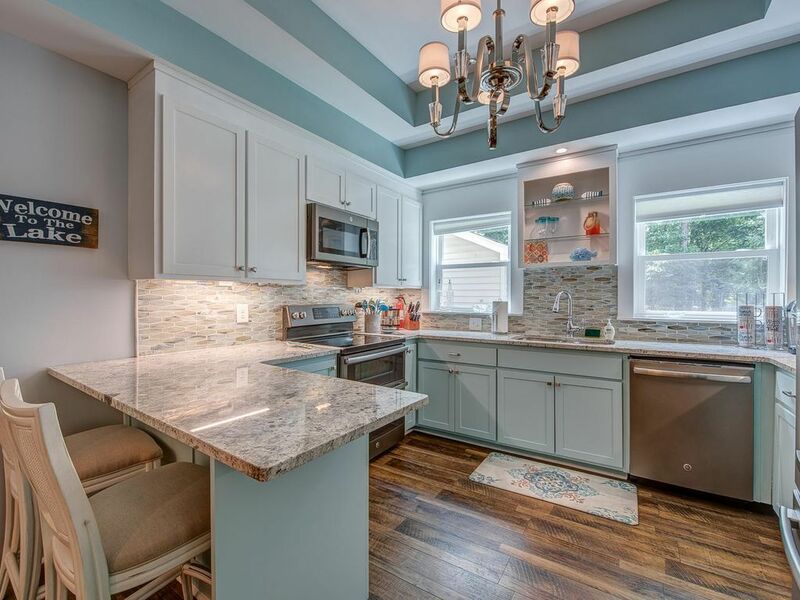 The property manager was just a call away and eager to help or answer any questions. We will certainly consider staying at The Cottage again. We were a group of 6 adults and 1 infant and stayed in the home for a long weekend. The home is beautiful inside and out. 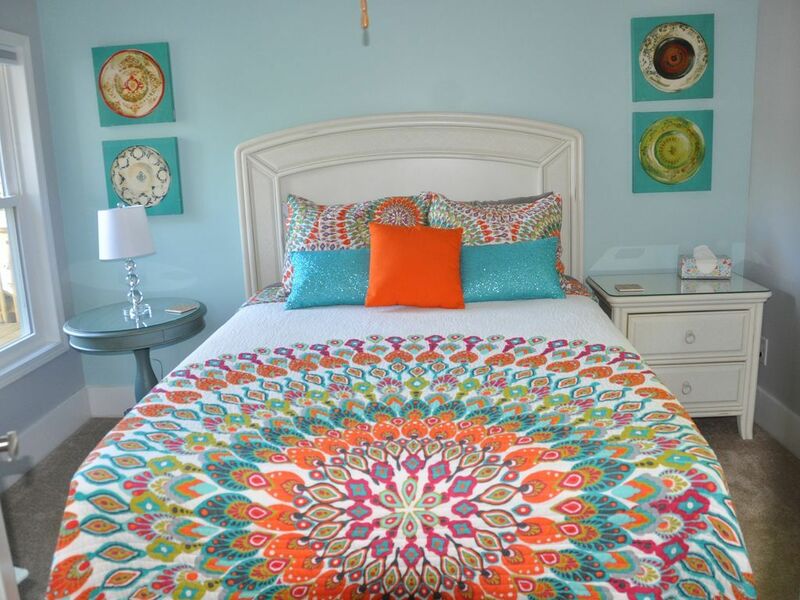 All of the little details have been thought of and there is so much more provided compared to most vacation rentals. 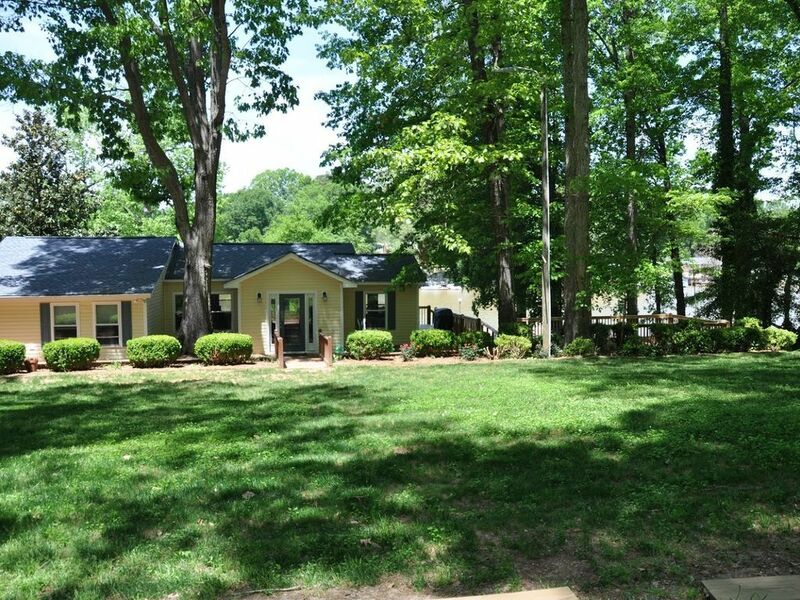 The home is a little further away from Charlotte, but its in a beautiful quiet neighborhood. I would definitely recommend this one. 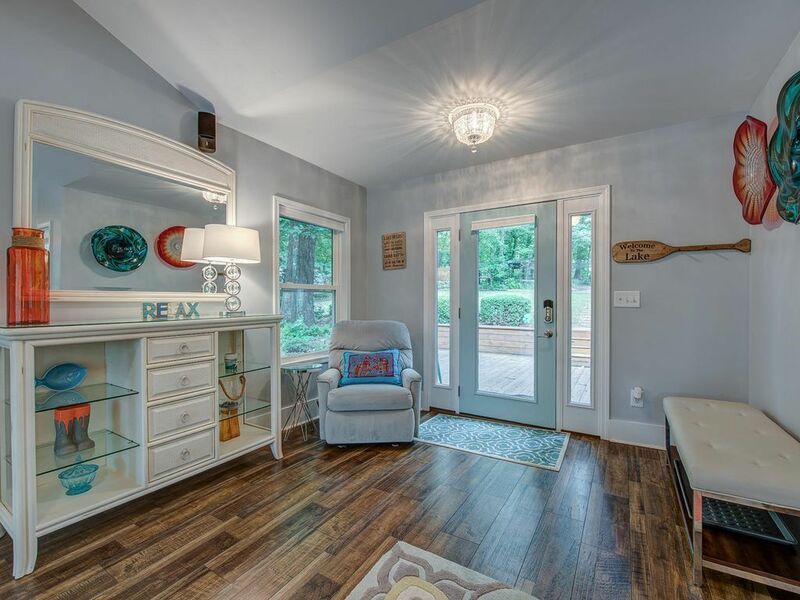 Cottage is beautiful & decorated with great accents. 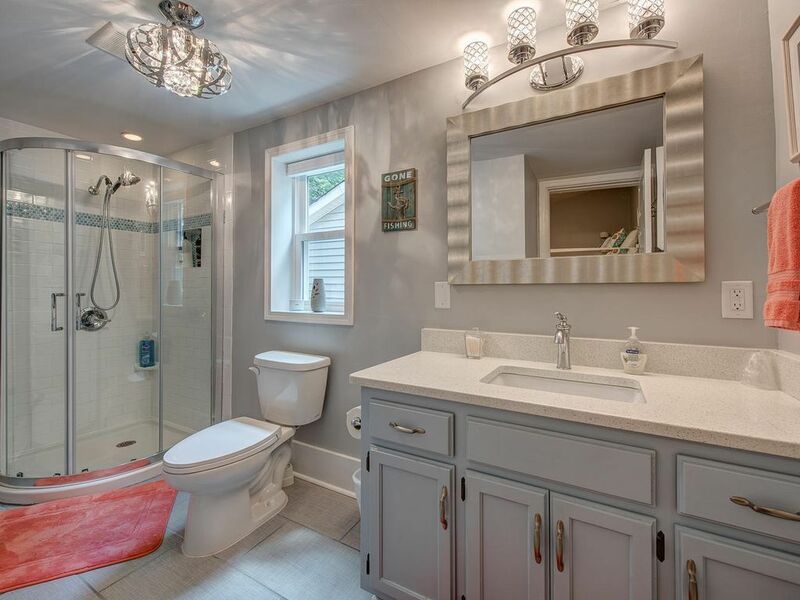 Much attention to detail with every imaginable comfort of home. Beautiful view with lots of windows & great decking. 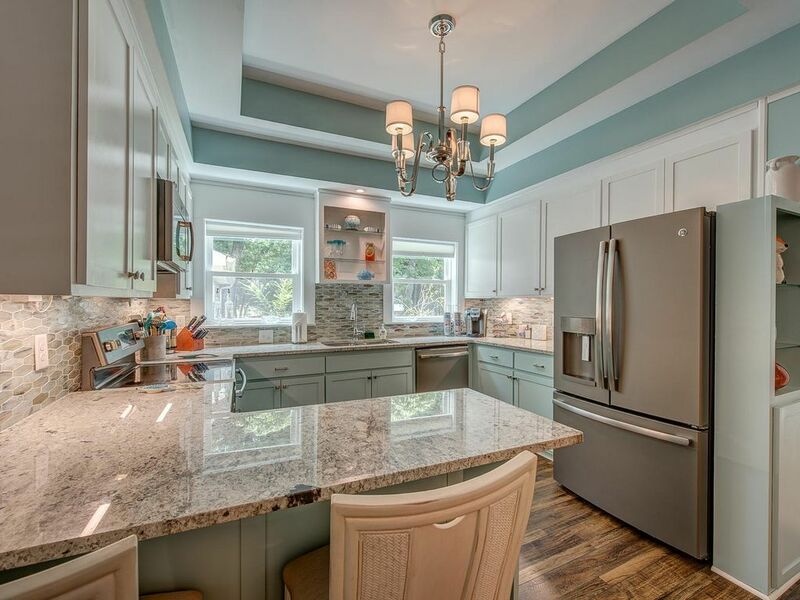 Close in to historic Belmont for local restaurants & bars. Adam was easy to work with & readily accessible with prompt response time. We plan to be back soon ! This cottage defines H A V E N! 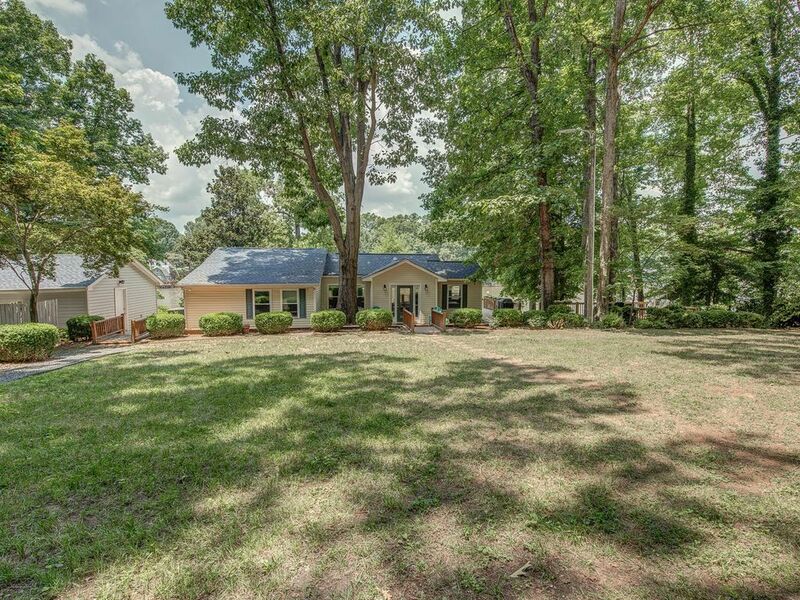 Tucked away from it all, but close to quaint Belmont and not too distant Charlotte. 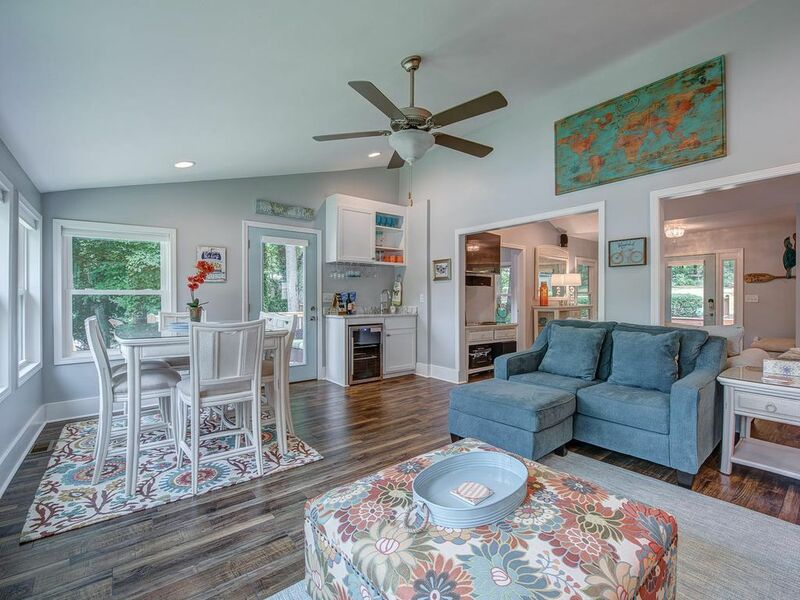 The owners must be architects and interior designers- the flow of the cottage is amazing and the decor- coastal modern. 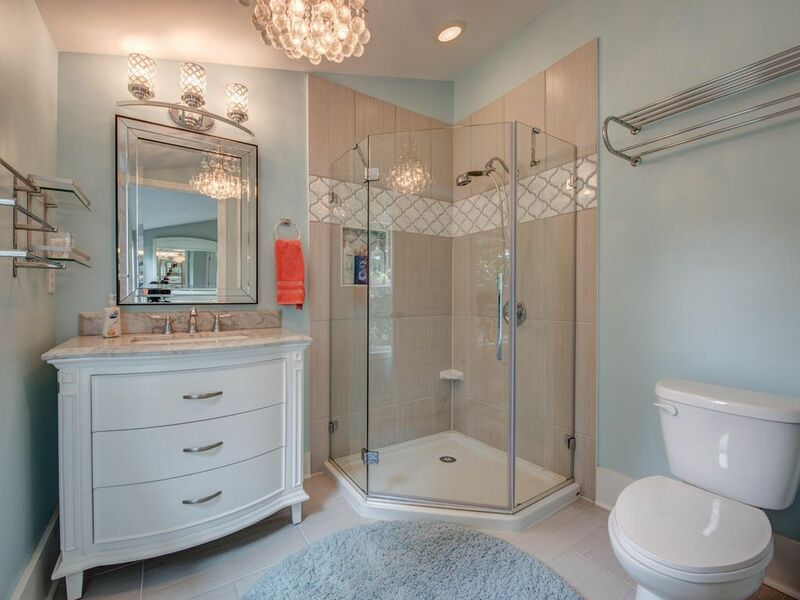 Everything is equipped- even more than a well-appointed home. 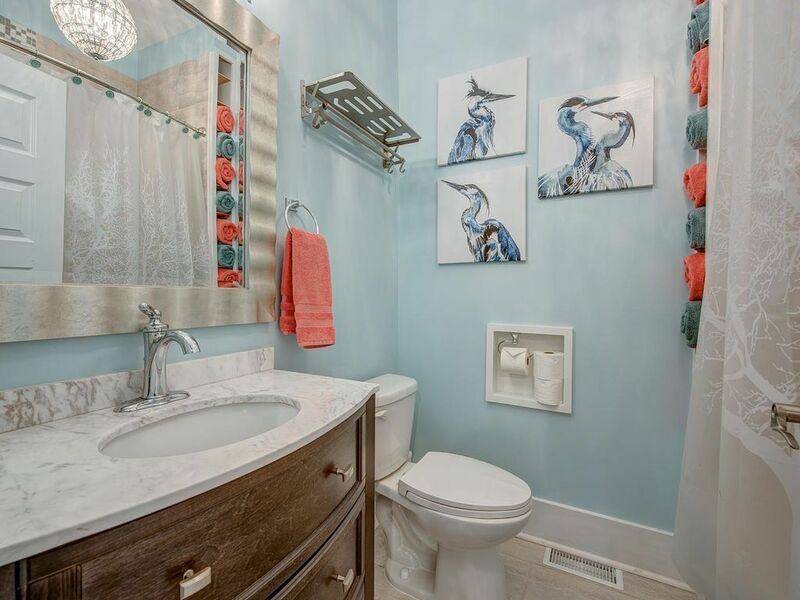 For those who admire coordination, all the decor & accents match- in a most classy, tasteful way. It was presented in mint condition cleanliness as well! The lake is great itself- we caught a full cooler of crappie on a half day charter. Be sure to eat at the local area restaurants! All d’lish. 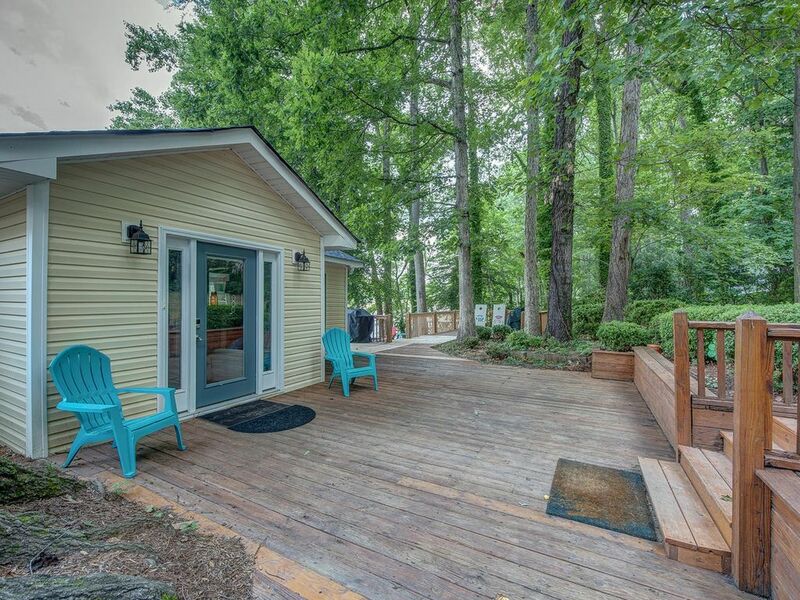 If you need some real r&r, this is a must stay place in greater Charlotte! 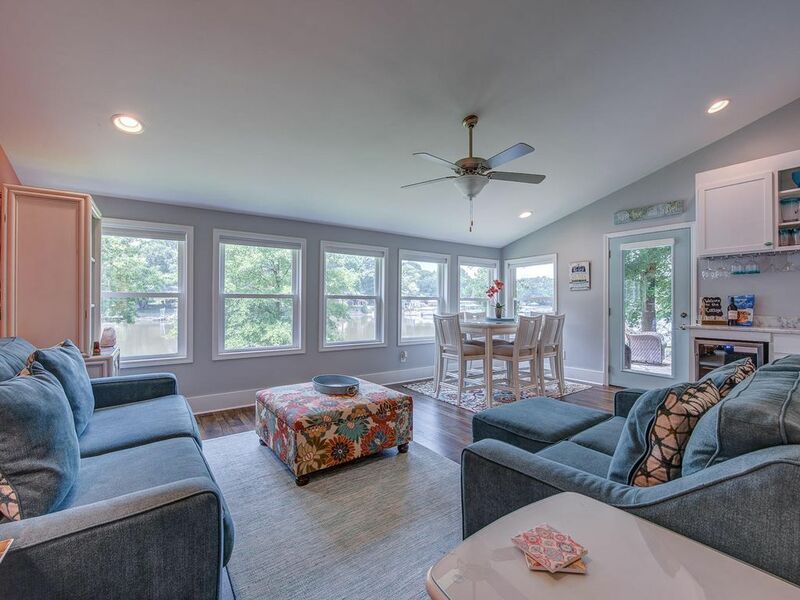 We had the good fortune to be one of the first to stay at this updated, Lakefront Bungalow. We came to visit family and a new baby. We stayed for 12 days. 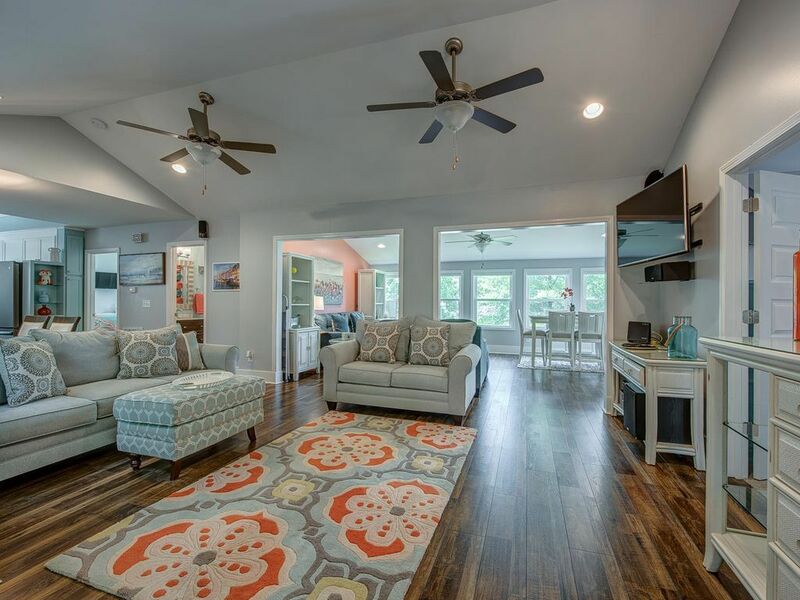 The bungalow is contemporary and comfortable. 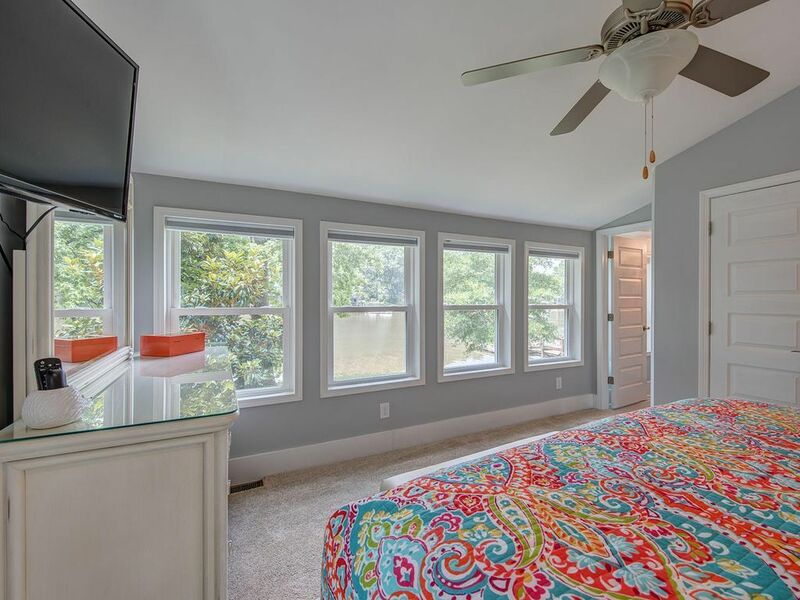 Lots of natural light from the windows overlooking the Lake. 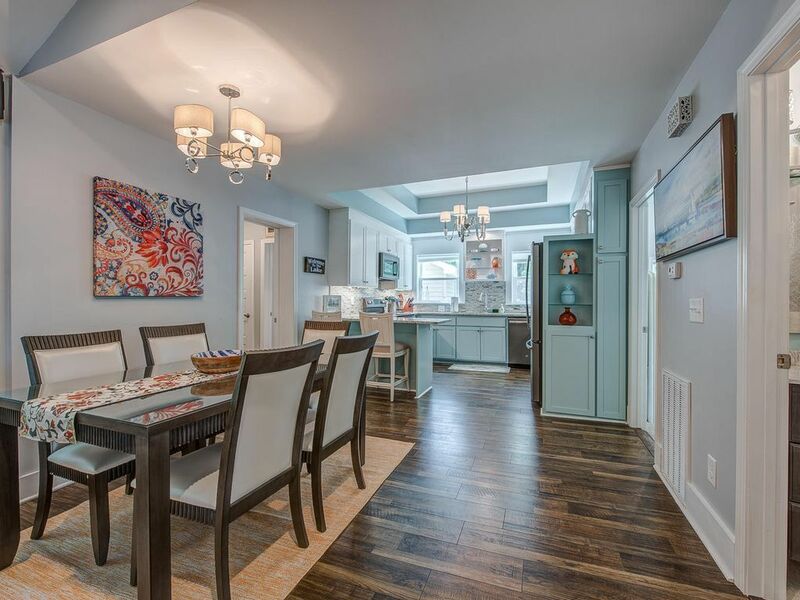 Ample selection of seating arrangements and thoughtfully coordinated accessories. Kitchen was stocked better than any other place we have stayed and the knives were sharp and the cookware was very good quality. We did cook in most days and the grill was a welcome addition when we didn't feel like a big prep. The master bedroom space was large and overlooked the water, the other two bedrooms were ample and there is room for 12 to sleep. Brand new washer and dryer were appreciated as well. All our questions were promptly answered and I would highly recommend a stay--during any season---at this nice house. Adam Rappaport 7049075656 Show Phone No.